Interesting. Perhaps this is why you should have been sent an advanced copy of the book to review before it went to press, so you could have given this review to the author before it was released. Did Andrew Farago ever send you this book to proofread before it went to print? 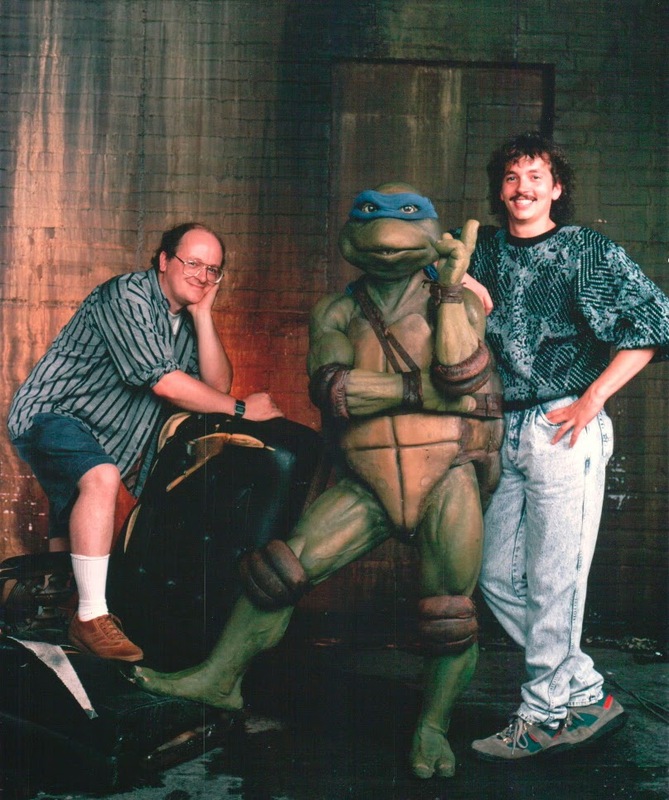 Perhaps this is why it is a good thing to keep tabs on some upcoming TMNT productions, so you could address the issues you have explained above. One thing I was extremely disappointed with the book is the coverage on the 2003 cartoon, since it is my personal favorite incarnation of these characters. Or seemingly lack thereof...A very limited amount of text for 7 seasons of my personal favorite (if added, maybe a 1 1/2 pages at most)...and even the pictures/art used were disappointing. One pic of Mikey from the very last season for 1 whole page? And then one pic of Shredder from the very last season for 1 whole page? No pics of the 4 of them in action, or the 4 of them together, or even villains like Agent Bishop, or artwork/pictures to show people the darker tone/aspects of the cartoon & how it pushed the show as far as it could go for a cartoon, which I very much appreciated (whether it be samples from episodes like Same As It Never Was or Bad Day, or the hallucination/nightmare of Leonardo stabbing through Splinter, Baxter Stockman's body falling apart, etc. ), no comments from any of the voice actors of the show...the 2003 cartoon portion of the book I was honestly very disheartened about. But hey, what can I say. I'm just a guy named Matt from Iowa who just loves the 4kids show to death, lol. It's very partial to me and it's what got me back into the characters. I'm a huge fan of that show too. Its really one of the best animated shows hands down simply because it really maintained the tone of the mirage studios comics. No easy feat for a Saturday morning cartoon. Mr. Laird on page 16 an insert says "Eastman and Laird created the famous quartet at this site in 1984". Isn't this a mistake? 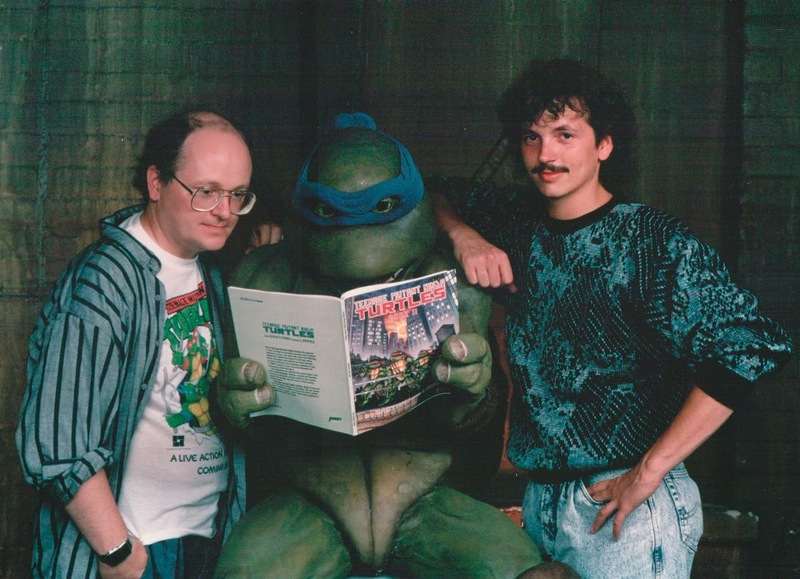 Other parts of the book say you and Kevin created the Turtles in 1983. It's a shame that TMNT Volume 4 and Tales Volume 2 were passed over. I've been re-reading Volume 4 to get up to speed for issue 32. Volume 4 is MUCH better than I remember, and I liked it back then! Maybe its having the chance of reading each one back to back without a break in between, everything stays fresh. 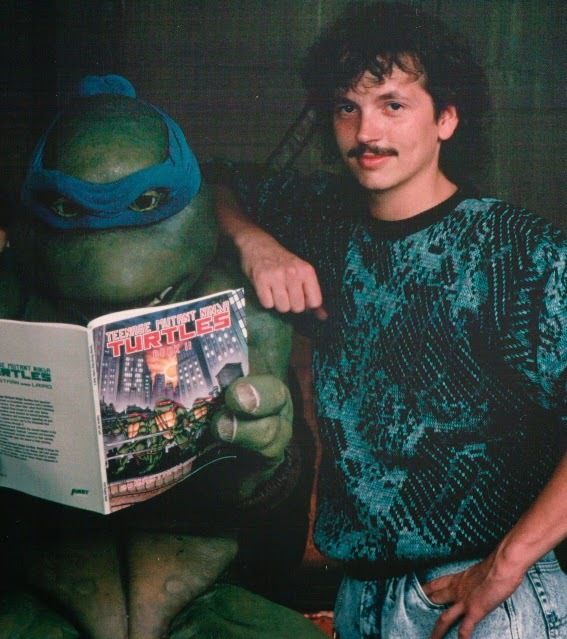 Also, in my opinion, Tales Volume 2 had some of the best TMNT stories ever told. To not mention that series is a crime. Among other things, I am still trying to figure out the short shrift given to Volume 4 (I mean, NO illustrations at all, after 32 issues and close to a thousand pages of art and story?) and the complete exclusion of the second volume of "Tales", and am having no luck. It's baffling to me. Maybe I just don't get it. Crap. I just typed something that I lost because it didn't see fit to save it when I logged in. Shorter version. To be totally honest, the art in the Image book was crap. It was VERY hard to tell what was going on in some panels....and that slowed down the read of the book. I was so happy when Mirage started doing them again...and I really hope that IDW publishes an omnibus of Volume 4 so I can relive it again. I also put in an order for the latest issue. As for mistakes: Two mis labels of art. 1) An image of 'red sky' Leonardo is not credited and thrown in randomly. The Background underneath him is from "Once Upon a Time Machine"...probably taken from someone's cell collection where backgrounds where often mismatched. On the other page, the b ackground credited to one of the turtles final episodes, "A Turtle in Time", is also wrong. The one with the turtles as giant statues in the middle of NY is also from "Once Upon a Time Machine". As far as the mistake you menitoned with the reproduction art. The top images looks like it could be from the 1989 season of the turtles Lair. Possibly "Turtles on Trial". As for the Portal Chamber below, to me, that does not look like it's from the Toei Version. The Control panel is very cheaply designed, and the proportions of it are all wrong, overly cartoon-y looking.. There is also some detail (rings?) at the top of the image that never showed up in the show, which lead me to think this might have been an early concept sketch rather than a finished piece. I also thought the idea of having inserts, while interesting, was poorly done. it's highly annoying to have to flip up and hold a page just so you can read the text underneath. I would rather have had them reduced to a page in the book. Other than that, the idea was a nice attempt. I wonder if they covered the Words and Pictures Museum. It was a cool place. I think my favorite part was the second (?) floor with the giant turtle statues and arcade game. Wish there where more detailed pictures and video of the creation of it. I'm only halfway through the bo ok.
After reading your blog, I bought the book today and reviewed it with your notes and I feel its a great addition to my turtle collection. Thanks. As you know the Turtles inspired me to start my own Taekwondo School. I picked up the book at Barnes & Noble on Friday and, read it over the weekend. I really enjoyed it. I learned a few things I did not previously know. 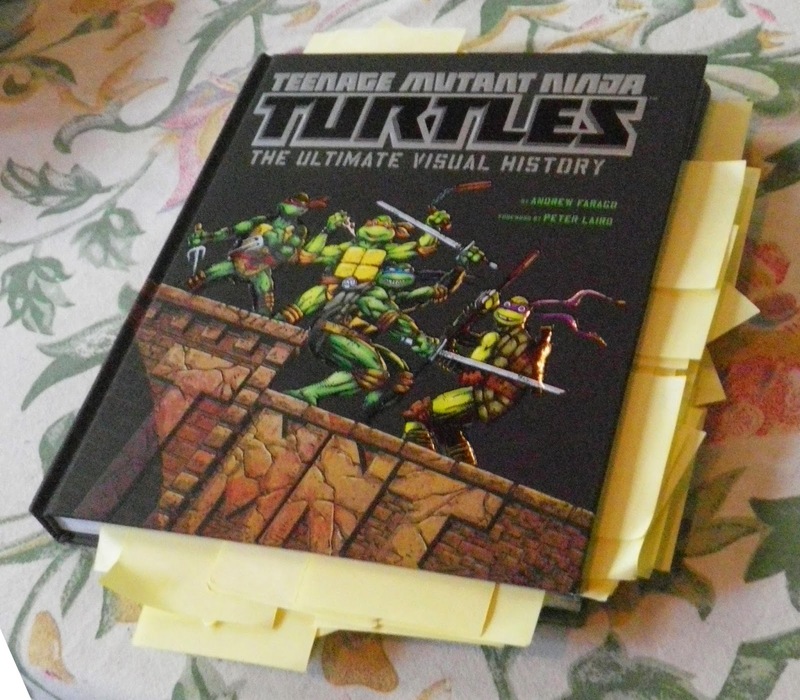 It is a great book for a fan of TMNT. It was a bit light on Vol 4 though. It is weird that they cropped you out of that picture. When I was a boy I had the collection of cards from the first TMNT live action film. That picture was on one of my favorite cards. I'm a little disappointed to see such a cool picture get cropped like that. Still, the book had a lot of great artwork. It is worth the cover price. คาสิโนออนไลน์ Our website says that tamarind juice is a very valuable herb. It is a good herb to have access. It is a good way to add weight loss measures that can be easily implemented in conjunction with other major measures. Tamarind is a sour taste when drinking and then refreshed after watching the tamarind juice and then another. Adjust the body temperature to cool down. Help clear cholesterol from blood vessels, often forget the problem of blood clots. Diabetes Gallstones in the urinary tract And reduce weight.